Students download a comma-delimited data set that is a time series of stream discharge measurements and the concentration of a trace element in the stream. 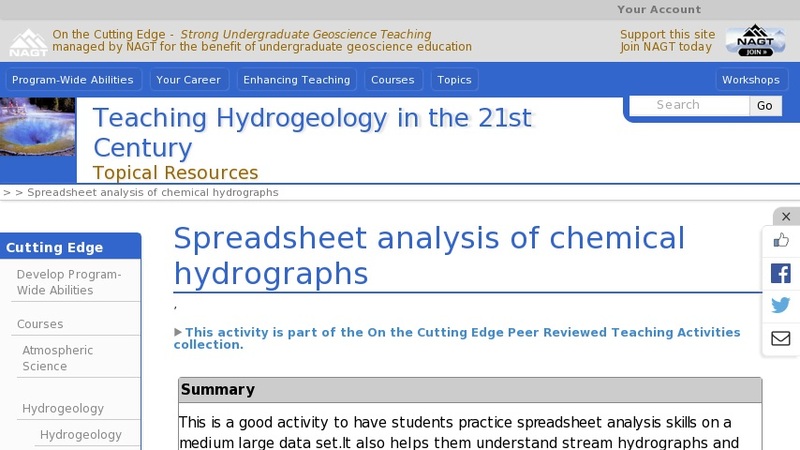 Given the concentration of this element in the precipitation and in the groundwater, the students analyze the data using spreadsheet software to separate the hydrograph into baseflow and quickflow components. Students produce a graph of their results. To do the analysis, students must derive an appropriate equation based on other equations presented in the text (Eqs. 1.2 and 1.3).